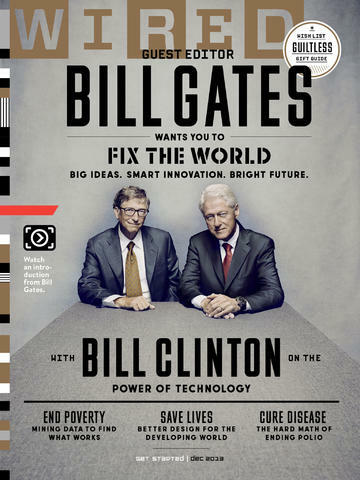 Bill Gates, Bill Clinton and many other famous (and wealthy!) people are committed to solving the world’s biggest problems. Can we involve students in solving the world’s biggest problems as part of their core learning experiences and not as an add-on? Yes! These projects involve problem-solving, innovation and monitoring progress, not to mention a healthy dose of expertise in science, mathematics and social studies. 1) Self-directed or personalized learning. If not in school, outside of formal schooling kids are choosing what they learn and moving at their own pace. Some are lucky enough to attend schools experimenting with this phenomenon. We could meet this need by providing opportunities for students to choose from a variety of global problems to work on. 2) Innovation. In Creating Innovators, Tony Wagner pinpoints keys for building an innovator: play, passion and purpose. Allowing young people rich and diverse opportunities to play allows them to find their passions which usually translates into a purpose-driven adulthood. Innovation in solving global problems would meet this need as well. This week we will share ideas and examples for how to build global problem solving experiences into formal schooling. Let us know what you think!